NASHVILLE, Tenn. (April 20, 2017) – Country legend Johnny Lee, known for his dynamic stage presence and smash No. 1 crossover hit “Lookin’ for Love,” released his first autobiography, “Still Lookin’ for Love.” Click here to order a copy. “Still Lookin’ for Love” written by Johnny Lee with Scot England and published by England Media includes forewords by Lee’s closest friends and legendary artists, Mickey Gilley and Moe Bandy. 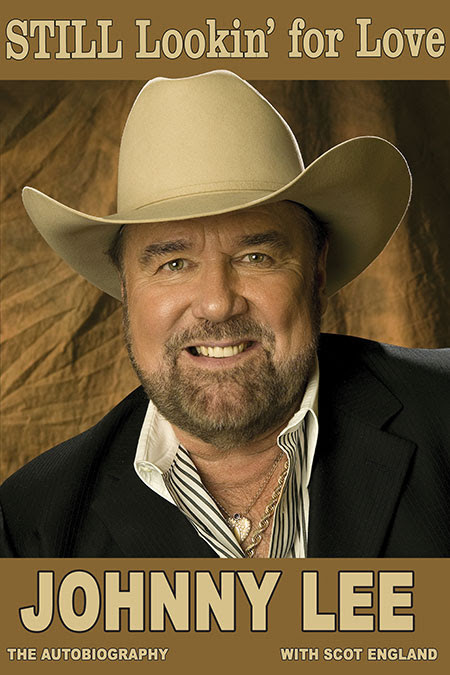 Readers will get an in depth look at Johnny Lee’s illustrious career as well as his life before the hits. Lee recalls many never before told stories including a secret marriage, the truth about Gilley’s, the world’s biggest Honky Tonk, beating colon cancer and the story behind ‘Urban Cowboy’, the movie that changed Johnny’s life forever. “Still Lookin’ for Love” also features more than 150 never before seen photos from Johnny’s personal collection. Lee’s longtime fans are still transfixed when he belts out his smash 1980 hit "Lookin' for Love," which became a crossover hit, spending three weeks at No. 1 on the Billboard Country Singles chart while also appearing in the Top 5 on the Billboard Pop chart and Top 10 on Billboard's Adult Contemporary chart. In addition to "Lookin' for Love," Lee had a string of hit No. 1 songs reach the top: "One in a Million," "Bet Your Heart on Me,” "The Yellow Rose" (a duet with Lane Brody and the theme song to the NBC TV-series of the same name) and "You Could Have Heard a Heartbreak." Lee’s other major hits include "Pickin' Up Strangers," "Prisoner of Hope," "Cherokee Fiddle," "Sounds Like Love," "Hey Bartender," "Rollin' Lonely," and "Save the Last Chance." May 19 Hard Rock Casino - Tulsa, Okla.
July 21 Wapocoma Campground - Romney, W. Va.
Oct. 20 Country Tonight Theater - Pigeon Forge, Tenn.